Dear Valentine MAKE UP to me a little! 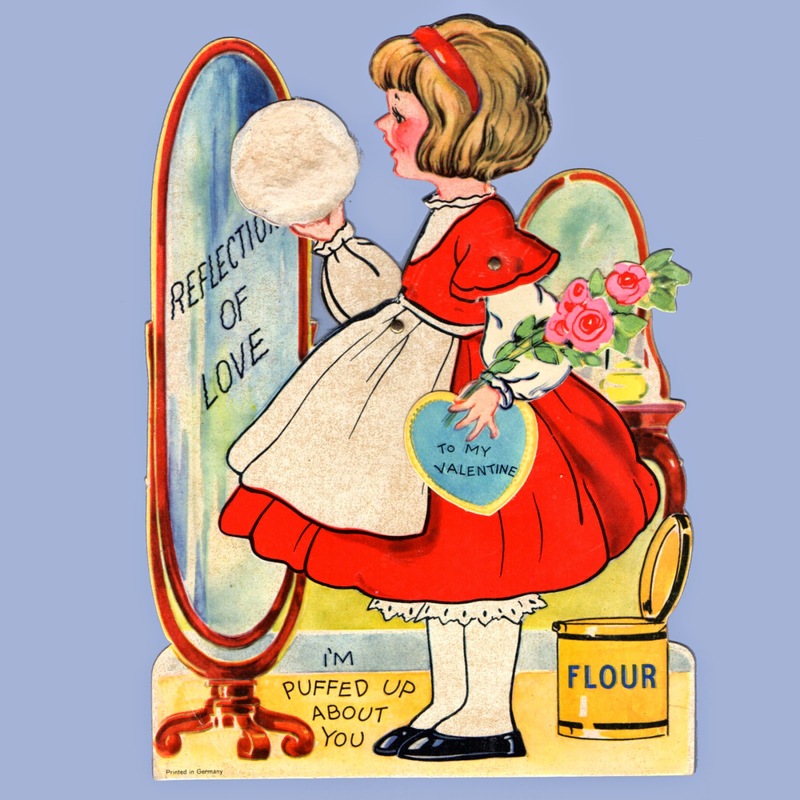 Reflections of Love - To My Valentine - I'm Puffed Up about you. 6 3/8" x 8 3/4"
Why don't you MAKE UP your mind to be my Valentine. 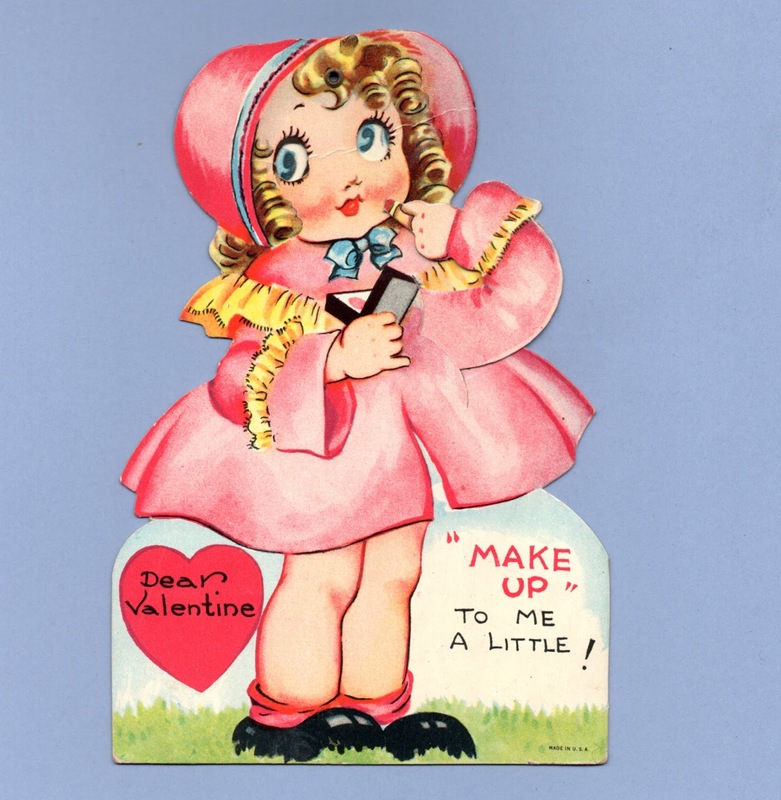 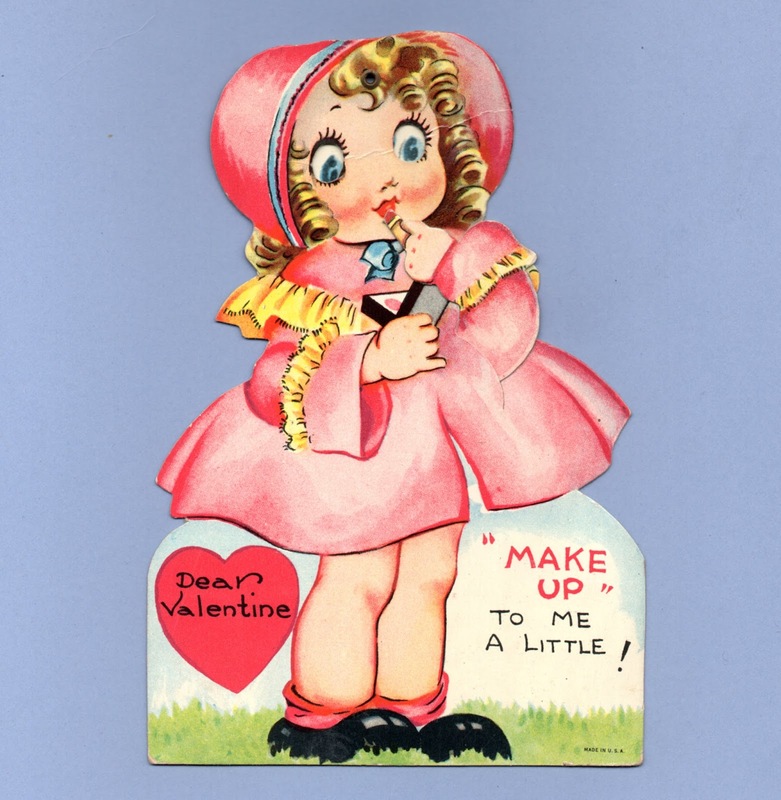 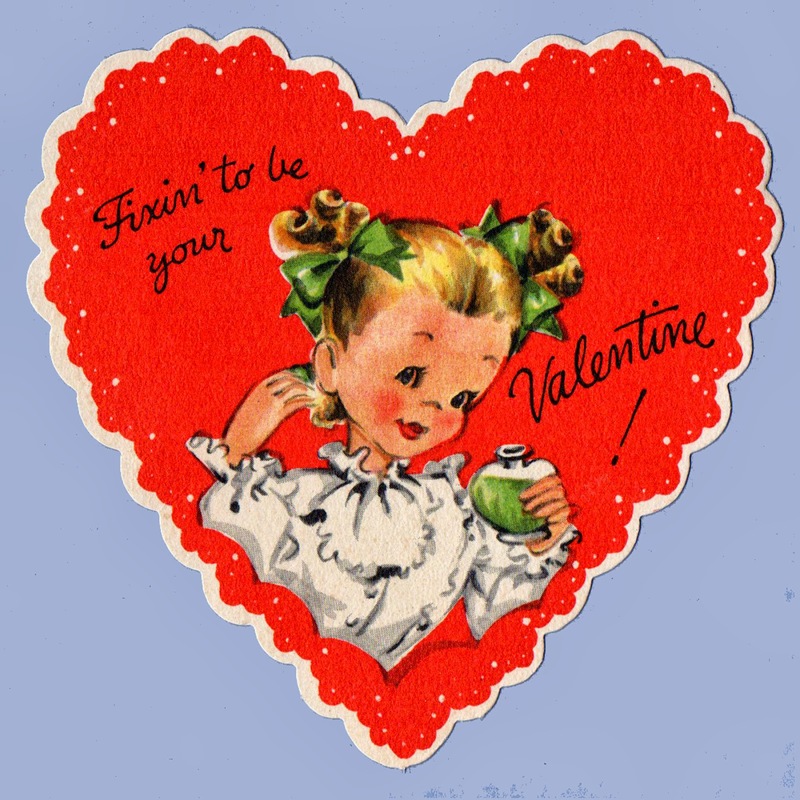 Fixin' to be your Valentine! 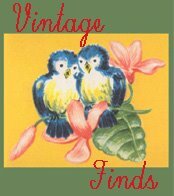 3 3/4" x 3 5/8"